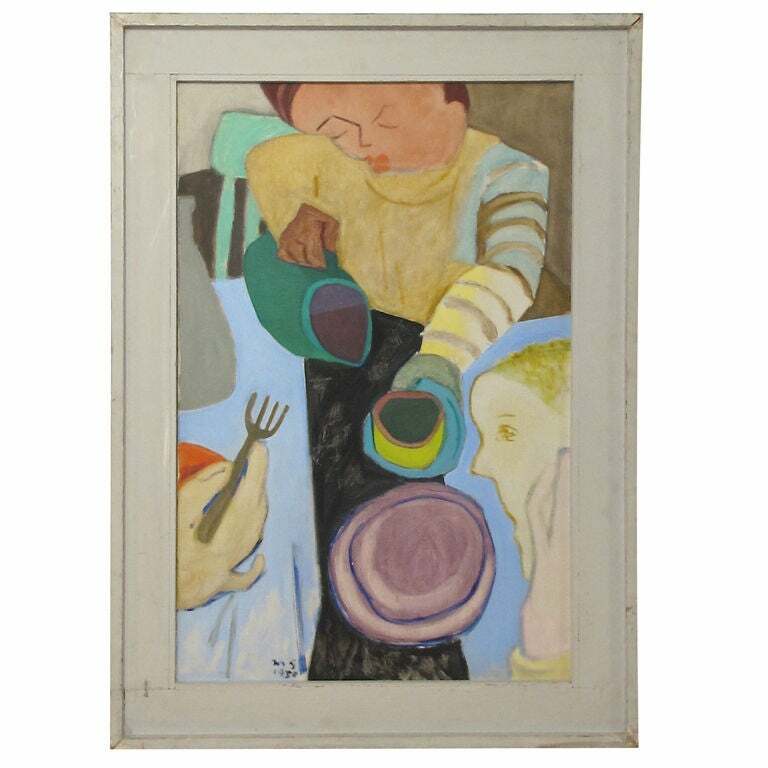 Large oil on canvas signed M. S. and dated 1950. Martin Snipper b.1914-d.2008, he was a San Francisco/Bay Area artist and patron of the arts. American, mid 20th century. Good vintage condition, the original frame has some nicks, scuffs and paint loss. Large textured abstract painting. 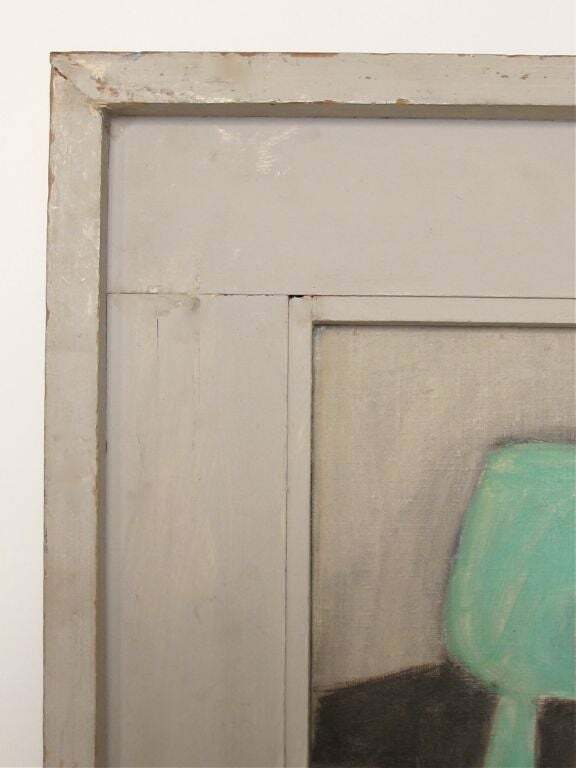 Oil on board in original painted wood frame. 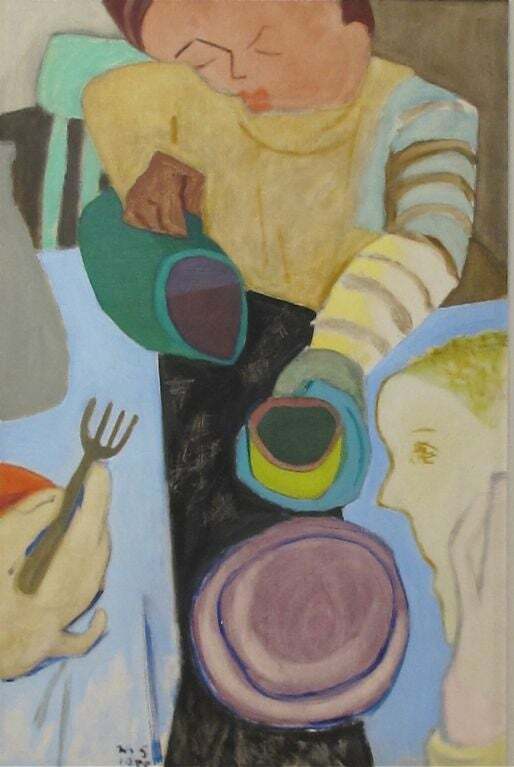 California artist, signed Diana Diamond and dated 1968. American, mid 20th century. 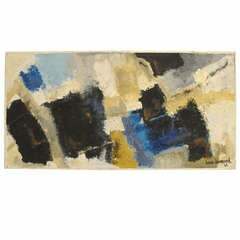 A large impressive oil on canvas abstract painting by San Francisco Bay Area artist, American, 1960s-1970s. 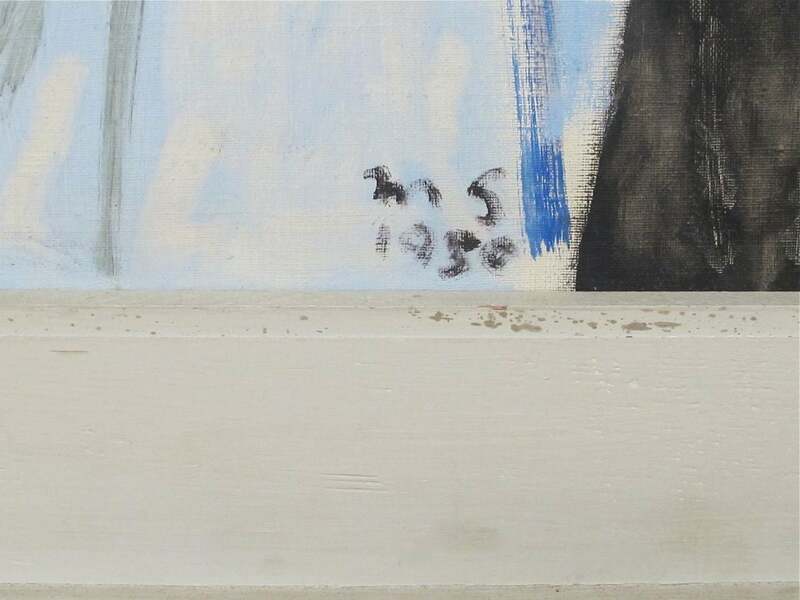 Lots of grey tones in this oil on canvas, circa 1970s. Oil on board framed classic with unusual color scheme. B. Podarowsky watercolor under glass and in frame with matte.